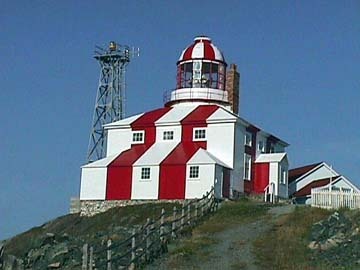 The Lighthouse, designed by Trinity House engineers, was built by the Newfoundland Lighthouse Commissioners between 1841 and 1843. The completed lighthouse is a square two story house-like wooden structure built around a masonry tower, which rises through the centre of the building to support the light. 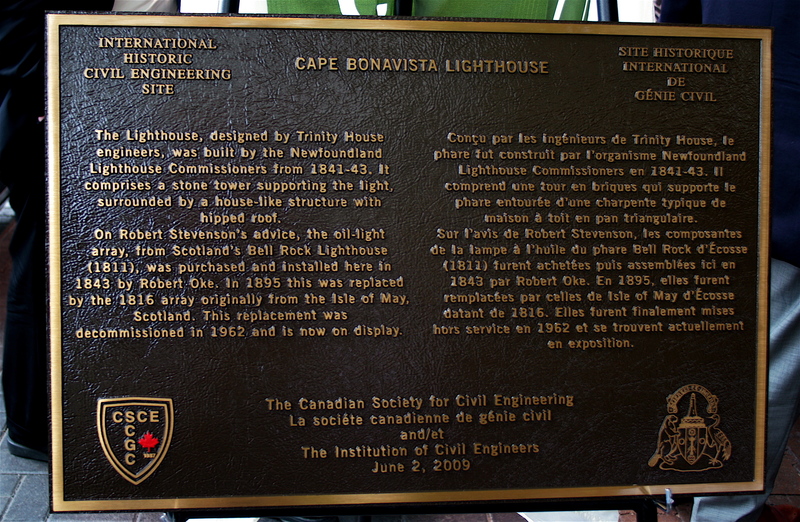 On the advice of the distinguished Lighthouse Engineer, Robert Stevenson , the oil-light array, from Scotland’s Bell Rock Lighthouse (1811), was purchased and installed at Cape Bonavista in 1843 by Robert Oke. In 1895 this light was replaced by the 1816 array which was originally installed in another of Stevenson’s Lighthouses on the Isle of May, Scotland. 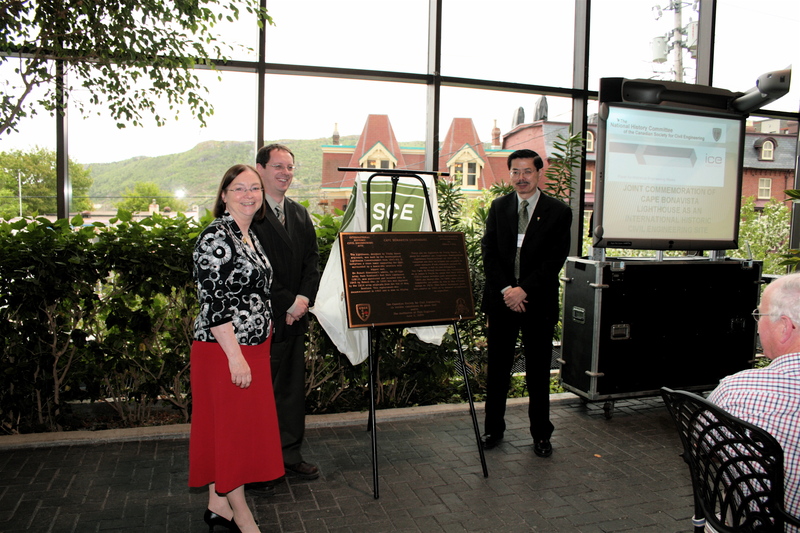 This replacement was decommissioned in 1962 and is now on display.